There are billions of novels out there. There are millions of fabulous writers and tales. There are well known writers who’s talent may be so so but who have captured something that connects with people. There are wonderful wordsmiths who remain obscure. There are authors who managed to get a book deal but then suffered the fate of “mid-list” authors and had to fight over and over to justify their presence on the shelves. There are authors who bypassed the traditional publishing arena and put themselves on the virtual shelves, authors who often give their writing away for free when their excellence should be paid for. There are writers in the wrong time and place and circumstance who have a more difficult task becoming known. There are writers who are hyped beyond worth. There is a laziness in the media sometimes where the same faces and the big names are trundled out over and over. There are books I’ve read by the greats and the well known that don’t hold a candle to those authors I’ve mentioned before who are unknown and who give their writing away for little or free, for the love of it, for the love of doing it. There is no secure correlation between talent and remuneration, between ability and recognition. I say this plainly, without begrudgery. My background is psychology. I am a relativitist, I say everything depends on perspective. One person’s paradise is another’s hell. Fame is for some and satisfaction is for others. What books becomes known and respected depends on the cultural leanings of the times, the particular individuals who find themselves in the positions of ‘critics’ and now, more democratically but still haphazardly on the swell of interest of ordinary people with an e-reader and a finger on BUY. I am neck deep in a novel, one of several I have been and am still engaged in. Writing is like breath, it is necessary for my survival, so I will do it, whether or not it comes to what is considered ‘anything’ in the eyes of ‘the world’. It is, beyond looking after my family, my main activity. I pour hours and hours into it, for the intrinsic sake of the work itself and the feeling of creativity. But that’s not to say that I don’t have my eye on publication. Every acceptance of a story to a journal, 3d or virtual is a thrill and I am preparing to submit longer pieces. But I am just one voice. 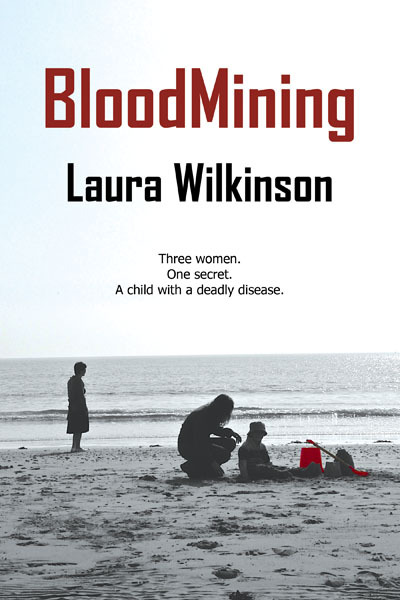 A woman in the early 21st century, an Anglo Irish mother of 4 in an Irish town, a satellite of Dublin, a child of the 70’s who wore tartan trousers, a Live Aid teenager, a graduate of the bleak early 90’s, a girl who moved from an English town to rural Ireland, a woman who wonders what this fragile world has in store for her children, a woman who dances on the inside or in the kitchen when people aren’t looking, forever writing in this gigantic pond of billions famed and anonymous. So yes, like the rest, you could say there is nothing special about this writer but I’m as special as any other who strive to share our particulars, who engage in this ridiculous urge to tell, to spin, to make sense and it’s opposite, to put what is ‘in here’ ‘out there’. I will keep on going. 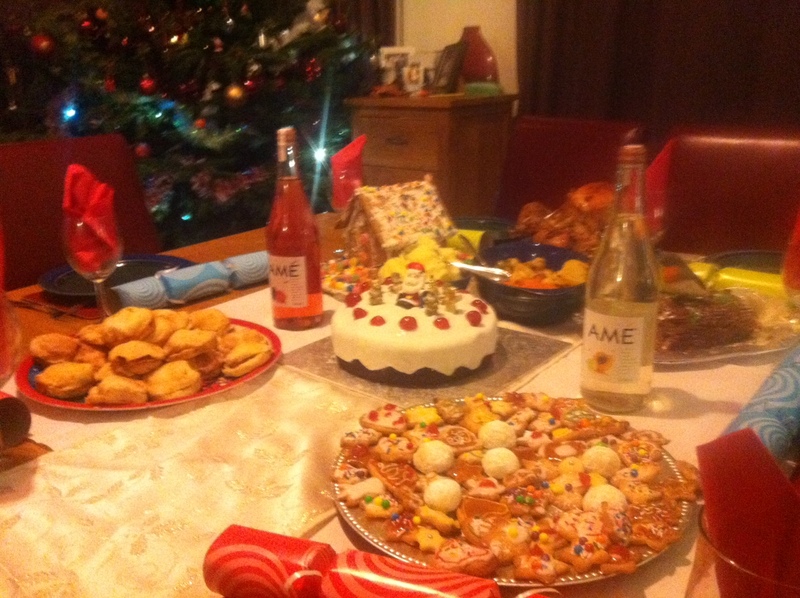 Christmas Table with Decorated Cookies, Yule Log, Apple Pies, Choc Mud Christmas Cake and Gingerbread House in the distance. 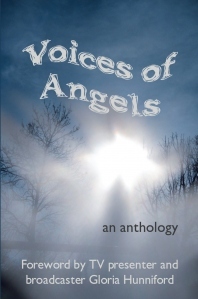 J ust to let you know that one of my stories is being aired in a new anthology, Voices of Angels by Bridgehouse . Bridgehouse, run by Gill James and Debz Hobbs Wyatt is an independent publisher who aim to promote new writing and in particular produce short story anthologies. If you are a short story writer they provide a great avenue for publication. They also support charities through their anthologies. Voices of Angels supports the Caron Keating cancer charity and has a foreword by Gloria Hunniford. My story Meringue has been included in the anthology and it’s not your typical Angel story (as can be said for the others in the anthology.) Rosie is not particularly angelic, she’s a woman of larger proportions who doesn’t take herself seriously, she views the world with black humour. She looks after her two nieces Sasha and Natalie and was recently jilted. Well it wasn’t actually at the altar. It was two weeks before. As it happens I was trying on my wedding dress, the dressmaker had managed to let it out another two inches and I was just making sure I could get it on. I was looking in the full length mirror and lifting up my head (for once, to minimize the resting chin syndrome) and I was thinking “Meringue” and it was a light, gooey, happy feeling because I like meringue and I could see myself floating in a sweet, sugary, angelic cloud down the aisle of St Judes, and landing precisely in pump encased plump feet beside darling Richard, my own, finally, all six foot two of him and that’s high not wide. The story takes place in the hospital. Her mother, with whom she’s had a difficult relationship is fading but as Rosie thinks How is it she grows tinier every day but is taking so long to disappear? Every day in Advent on it’s Facebook page Voices of Angels is presenting extracts from each of the stories. So have a look and see which catches your fancy.